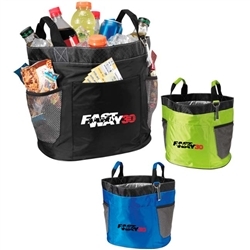 Custom Atchison Game Day Logo Tailgate Cooler is made from 70-Denier nylon. Customizable Tailgate Coooler features 24-can capacity. Custom Atchison Game Day Logo Tailgate Cooler is available in 3 colors: Apple Green, Black, and Royal.